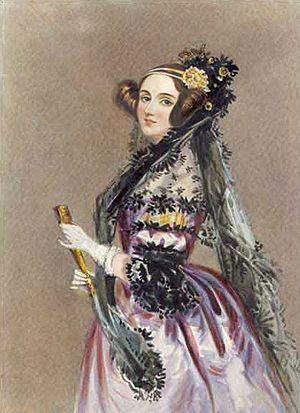 October 15 is Ada Lovelace Day when bloggers around the world celebrate the first computer programmer, and all women in science, technology, engineering and math (STEM). Last week the annual meeting of the Division for Planetary Sciences of the American Astronomical Society came to Denver. The primary way I kept up with the news out of this meeting (and most things space-related) was through Emily Lakdawalla’s Twitter feed. 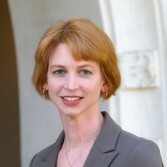 Emily is the Senior Editor and Planetary Evangelist for the Planetary Society (PS), and she is just amazing. But Dr. Lakdawalla brings much more of the working scientist to her role of improving public understanding, and marshaling public support for exploration of our solar system and beyond. Before her current gig, she was a planetary geologist; she stays in touch with her experimental side attending and covering conferences. I first encountered this sensibility listening to Planetary Radio, the weekly 30-minute podcast (and radio show) covering space news produced by the PS. Emily has a weekly spot running down the week’s headlines. This podcast is typically one of the highlights of my week, in part because everyone on the show is clearly smart, but not given to speaking in jargon and vocabulary designed to fly over our heads. As a technical writer who aims for that same sweet spot, I appreciate how rare this quality can be. The word “evangelist” is heavy with connotations and is not one I use lightly. I use it to convey my devotion and passion to my subject, and what I consider my avocation to share it with the world, along with the belief that a respect for the cosmos and our place in it can make people’s lives better. If you have any interest in science, astronomy, or have a similar passion for humanity’s reach for the stars, go check out the Planetary Society, its website, and the radio program. Last week, I was a little bit flummoxed to learn that MindTouch had named me one of the “400 Most Influential in TechComm and Content Strategy.” As honored as I felt to be part of this list (see my other site for an initial reaction), I’m still not quite sure what I did to earn such a high place (57) on the list. This is probably a good thing, as otherwise I might be plotting to make the Top 50 next year. As a longtime blogger, and WordPress author, I do get the occasional question from people along the lines of “Can I get rich and famous from blogging?” My answer is usually the same lines: “It’s been done, but it ain’t easy.” Well, I am not rich (at least in the financial sense), and I’m only (very) slightly famous. Apparently, however, I am at least a little bit influential, so I do have some vague notion (maybe) of how I got here. Can I share? When I first became a technical writer, my predecessor in the job moved to the marketing department of our company. I asked a lot of questions and soaked up all the information I could—not just about the software we documented, but about tech writing as a profession. Among other things, she shared with me a stack of publications from the Society for Technical Communication (STC). What a good idea that was! Finding STC connected me with hundreds of other folks who had my job (or something similar) looking to become better at it. When I first started going to meetings of the Rocky Mountain chapter, I met people I was actually in awe of, but were still friendly and helpful. I learned more, and got more involved as time went on. STC is not a perfect organization (does such a thing exist? ), but I’m still involved. When that first tech-comm job ended and I came back to my hometown, I found another group of kindred spirits at BarCamp Milwaukee and Web414. Scroll through the archives here for some thoughts on what I’ve picked up from them over the years. One of the best things I picked up was an early acceptance of Twitter as a communication tool! My annual routine includes as many BarCamps, tech comm conferences, and WordCamps as I can attend. Most years, that’s only one or two of each, but I pine to see more. What’s great about conferences? Even if you don’t get to travel to some exotic location, you can get out of the daily routine and learn something new. There’s meeting and hanging out with a different set of people too. I’ll remind you that WordCamp Milwaukee is coming in June, WriteCamp will be around that time, and BarCamp Milwaukee is the first weekend in October. When you learn something, don’t hoard that knowledge. Whether you just retweet an interesting link, write a blog, or start speaking at conferences,it’s important to share. In my early days on Twitter, somebody out there suggested that a key to success on Twitter was to “always be linking.” Just don’t make your links all about yourself! Here’s a generalization: Most people don’t care for people who just talk about themselves. When you’re interacting with people at all these events I’m suggesting you participate in, aim to be nice, and aim to be helpful. Whether you’re online, in print, or in person, don’t be the know-it-all (even if you think you do know a lot). Always remember that you’ve been wrong before, but maybe not now. Never be afraid to just listen, too. That is how you learn things. I don’t know for sure whether these practices turned me into an influential character, but I’m pretty sure I wouldn’t be doing what I do without these practices. Many thanks to all who have helped me over the last decade or so. Quite a few of those folks are also on the MindTouch list, but many others are outside the field. Happy New Year! May you be influential in your niche too! Spring is here and it’s time to get educated. Yes, I suspect that a lot of you reading this are still in school, and aching for the days when you won’t be sitting in a room being educated. Tragically, I have to tell you that once you get out in the Real World, you really begin to relish the few chances to get together with colleagues, perhaps in a strange city, and learn new things. That’s what I’m doing now. This is the annual conference of my professional organization, and my employer is sending me so I can be a better tech writer. As a bonus, I get to see possibly the most famous technical communicator in the world. Tim O’Reilly is our keynoter Sunday night, and while you may know him as the god of technical publishing, I just learned from this interview at South By Southwest that the publishing business started during a slack time in his tech writing consultant business. There’s much more of interest in that hour-long podcast, but I’m really looking forward to hearing him. This will be my second STC conference, and the last one was quite useful. I’m confident it’ll be another good experience. This local gathering/unconference of writers of all genres is a great opportunity to break out of the isolation of the Writer’s Life, see what other people are doing, and learn something new. It’s the brainchild of my friend Boone Dryden. I’ve proposed two WordPress-related sessions. I’ll give one or both, depending on interest. In any case, it should be great fun and always interesting. I wish I could get out of town to attend this gathering of documentation teams for various open source products, but I’ll try to follow this online. Folks from Ubuntu Linux, the GNOME project, FLOSS Manuals (I’ve also written about my experiences with FLOSS Manuals here) and Mozilla will be there. One of my favorite tech-book authors, Anne Gentle, will also be talking about community building. One of a zillion WordCamps that happen every year, where people spend a weekend talking about WordPress. Someday we want to have one in Milwaukee, but this isn’t too far away. They’re pulling together a program as we speak, and nobody knows yet who will appear. I’m hoping it’ll be great! Meanwhile, the second Milwaukee WordPress Meetup is in the works, for sometime in June. More info to come on that! So whether you can make any of the above events (and I’d love to see you), do try to find like minds this spring and summer, and don’t put your brain entirely on hold. Do you have a favorite conference? Hate one or more of the above events? A preference for one or another WriteCamp session? Other spring-like thoughts? Share them in the Comments window. A discussion has popped up on the KOffice-Devel list as to whether to discontinue the user-oriented KOffice mailing list. Some developers are wondering whether it’s worth it to keep this admittedly low-traffic list going. The main argument being that if people aren’t using the list now, the few questions that do get asked may not be getting the attention they deserve. I have an opinion on the subject, but I’m not sure that’s all that important. As a technical communicator, what I’m interested in is how others learn about and solve problems with their software, particularly in the open source arena. KOffice doesn’t have the mind share and user base that other open source productivity suites (OK, I mean OpenOffice.org) have, but are there channels today’s Linux geek and her grandma use to get support for their software. There are lots of choices, and it would be interesting and helpful to me, the KOffice and KDE teams to learn those preferences. Share your journey in the comments. Choose as many options in the poll below as you like. Explain what you like and don’t like about getting help. Even if you don’t use KDE specifically, feel free to chime in. The CiviCRM manual is now complete, and available at FLOSS Manuals. Here’s the news release, emphasizing the … shall we say “unusual”? … reality that the documentation is released BEFORE the software itself. With user docs often an afterthought in open source development communities, it’s great that the CiviCRM team really put a great deal of energy into the documentation, as well as the code. Most of the book was written over a long weekend, described here (by me) and here (by the CiviCRM team). It was great fun, and I hope to contribute again soon.